More than 6 million spectators in more than 34 countries and 58 cities. Every place has magic and every summer has has its own story. Summer season in Uruguay! 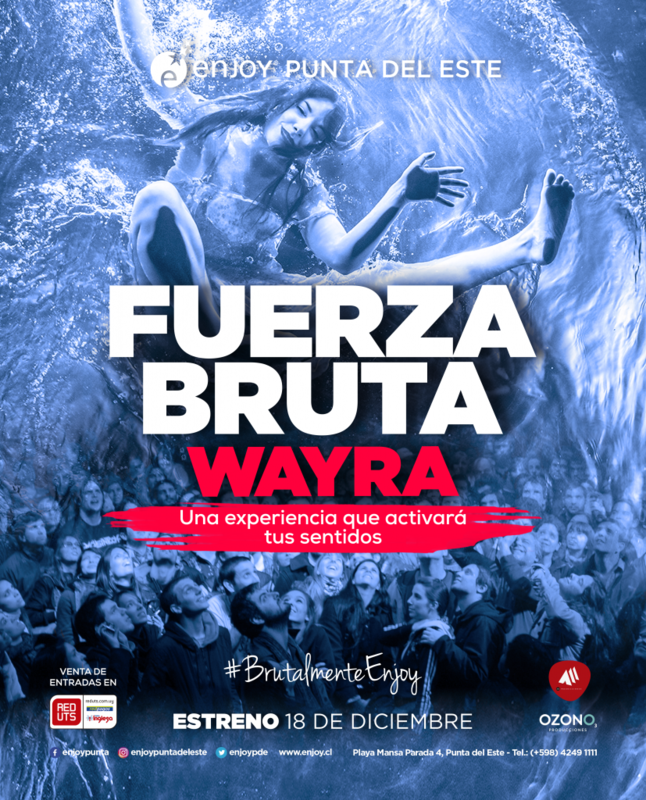 Fuerza Bruta arrives at Enjoy Punta del Este. Tickets: Red UTS and Enjoy Ticket office. Enjoy Punta del Este is located in one of the most sophisticated seaside resorts in South America and since it opened more than 20 years ago it has become the top Casino in Latin America and the region’s leading entertainment center.